Created, designed, and built by Nikolai Zykov in 1988. Height: 105 cm / 41 in. Materials: papier-mache, foam plastic, foam rubber, wood, metal wire, fabric, synthetic leather. First presentation - August 22, 1988, Concert Hall of the Baikonur Spaceport (Kazakhstan). 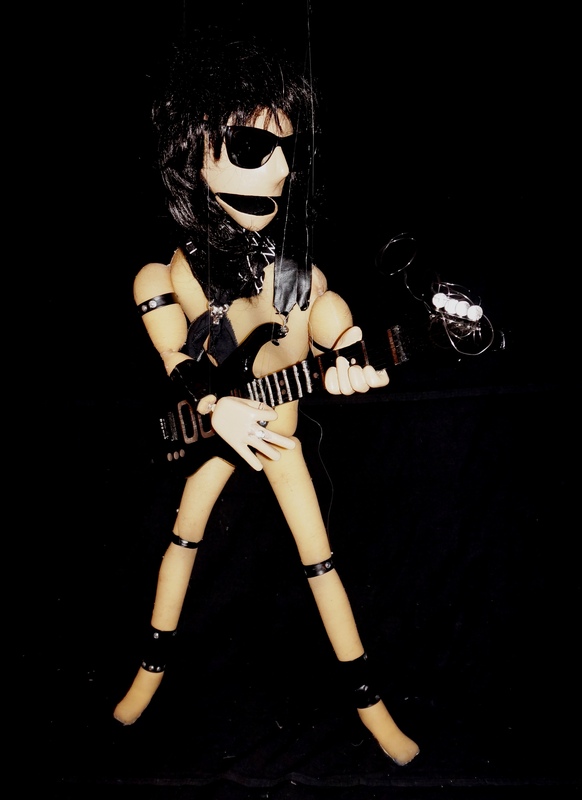 GUITAR PLAYER - string marionette, one of traditional marionette characters. The presentation of this vignette is accompanied by strobes and fog like in real rock concert.